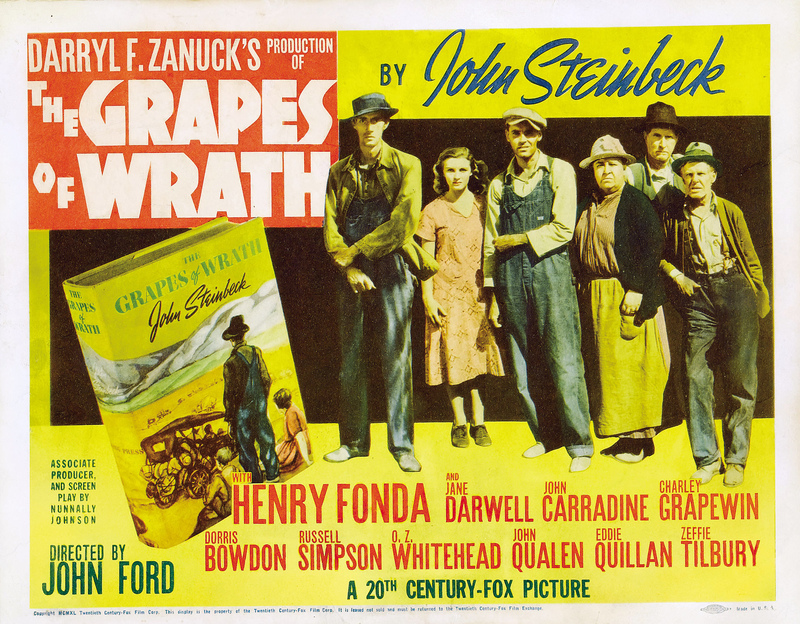 With the release of The Great Gatsby, here are ten great American novels that were turned into movies. Joseph Hiller’s classic anti-war novel following the exploits of Yozarian was made into an all-star film in 1970 to catch in on the success of M*A*S*H. Unfortunately, Hiller’s novel was so in-depth and complex that a 2 hour film couldn’t do it justice. Even though Alan Arkin is manic, it was a bit of a mess. There were so many Stephen King novels that I could have chosen but The Shining was a perfect example of an okay book that was turned into a classic, even though King hated Kurbrick’s vision so much, he produced his own version that, quite frankly, leaves a lot to be desired. Who could hate Jack Nicholson going bonkers? Still a terrifying and atmospheric horror. Another classic novel that didn’t quite make it as a film but John Huston’s adaptation is a decent enough stab at Herman Melville’s sprawling epic about obsession as Gregory Peck goes hunting for the White Whale. Peck over acts likes crazy but it still has plenty to enjoy. A personal favourite of mine. William Goldman’s off-kilt fairy tale was read to me in installments while I worked in a London theatre. I was hooked by the constant jumping from narration to narrative and the fun, adventure and romance came out of the page and was brilliantly transformed to the screen by Rob Reiner. Now a cult fav for many, it’s just a joy from start to finish. L. Frank Baum’s 14 book series has fascinated many, right up to the recent Oz, The Great And Wonderful. But it was The Wonderful Wizard Of Oz that was snapped away from Disney by MGM and turned into one of the most popular film musicals of all time, as Judy Garland takes the trip down the Yellow Brick Road. What would a list like this be without a John Steinbeck? Of Mice And Men was an obvious choice but I plumped for this, mainly for Henry Fonda’s pitch perfect performance in the tale of a family’s journey through America’s depression. A story that captures a mood and a time brilliantly and one of John Ford’s finest non-westerns. A massive best-seller, helped, no doubt, by Steven Spielberg’s blockbuster movie. Heaped with technical problems and going over budget, it still has the power to shock and scare. As Spielberg often says, it’s not a film about a shark. Margaret Mitchell’s novel set during the American Civil War is one of the biggest and most successful films of all time, with Clark Gable at his smoothest but Vivien Leigh stealing it as the heroine. Not one of my favourite films but I appreciate the workmanship that was put into it and the burning of Atlanta is still a high point. A near perfect novel/movie transformation as a town is brought to its knees by a murder and accusations of racism. 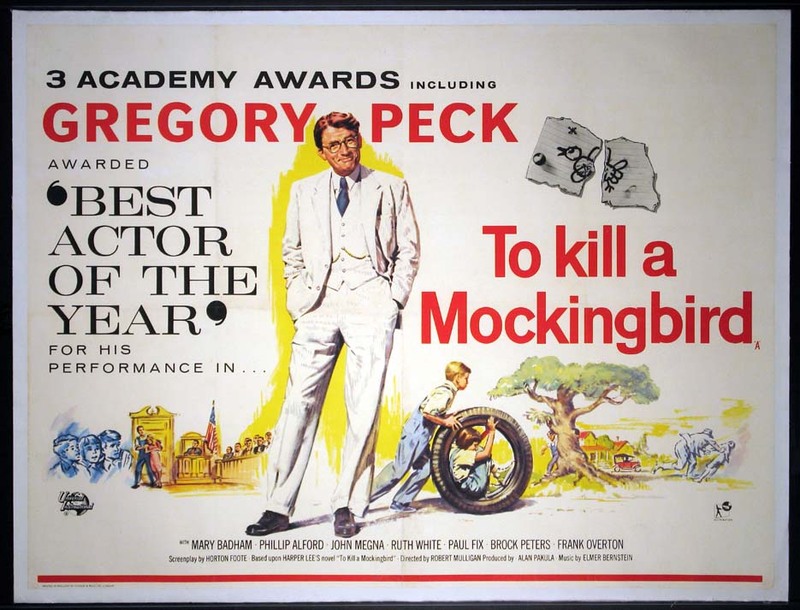 Gregory Peck deservedly won an Oscar as the all-fair Atticus Fitch. Even more surprising that Harper Lee only wrote the one book. There could have been hundreds of stories about the lawyer. Mario Putz’s story of Italian immigrants who became a force to be reckoned with is still a powerhouse of a film series. Francis Ford Coppola’s films (1 and 2) captured the tale of family and pride superbly and both films walked off with Best Picture Oscars. 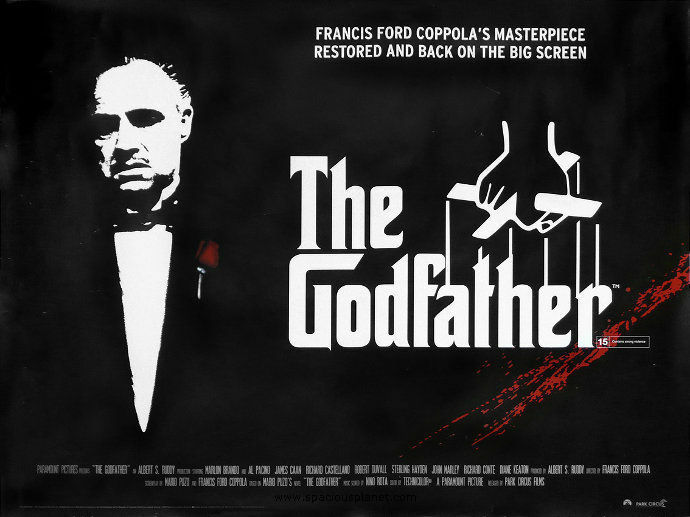 If you have never seen The Godfather or The Godfather Part II, find a day to watch them.